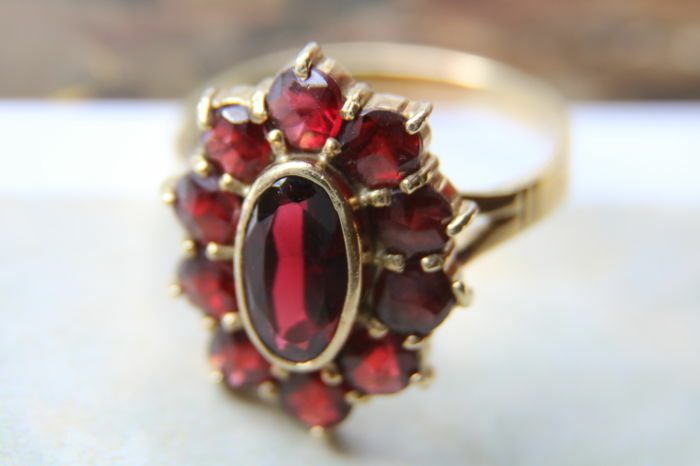 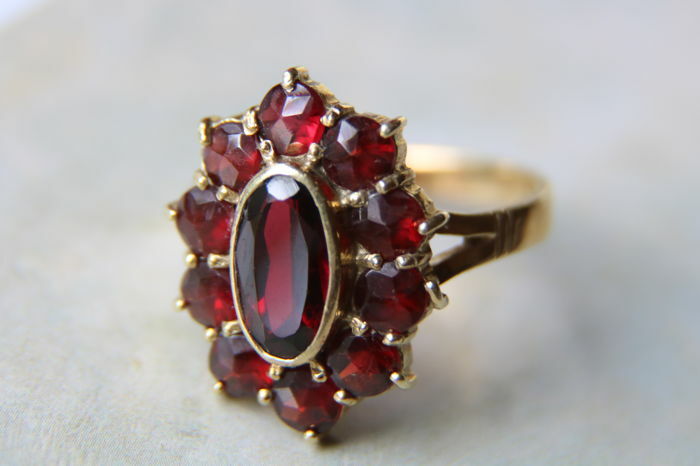 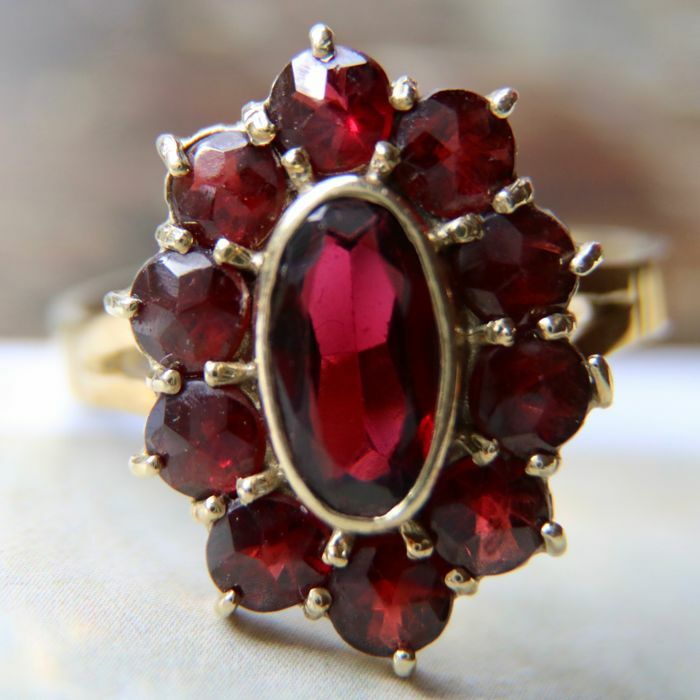 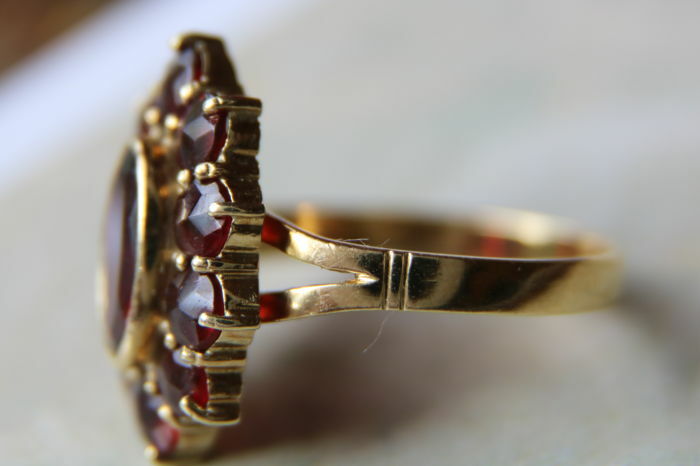 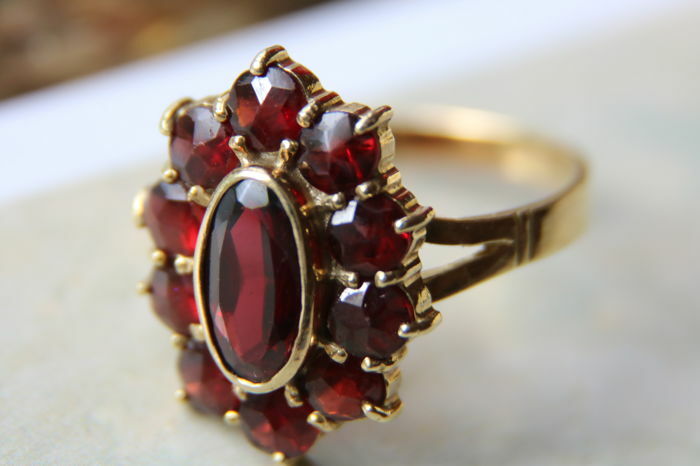 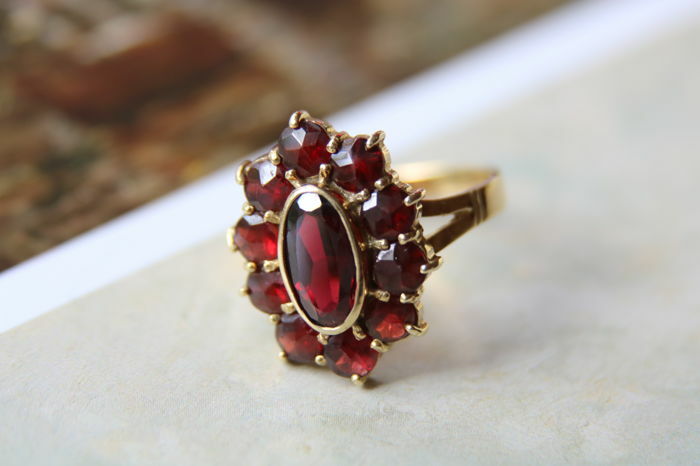 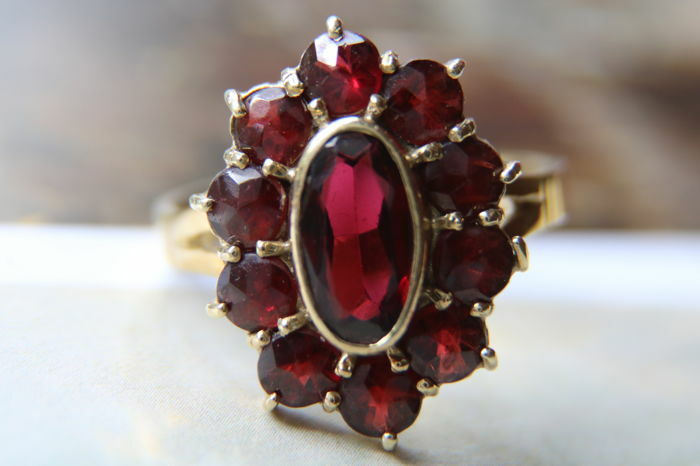 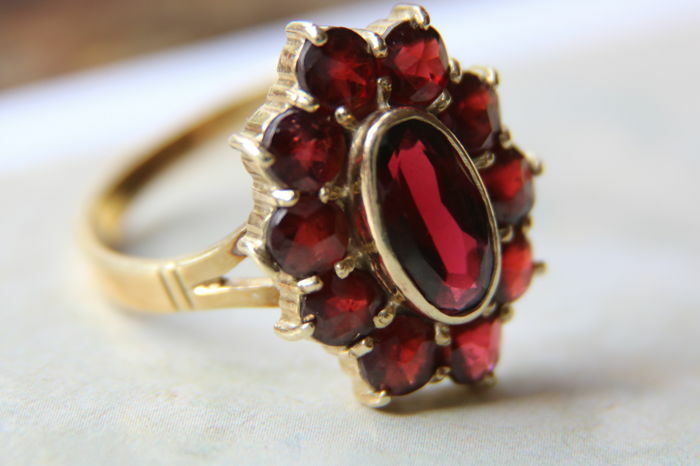 Circa 1900 Antique marquise shape Yellow Gold 585/14kt ring with 10 large roos cut and 1 oval cut Bohemian Garnets 2.99Ct. 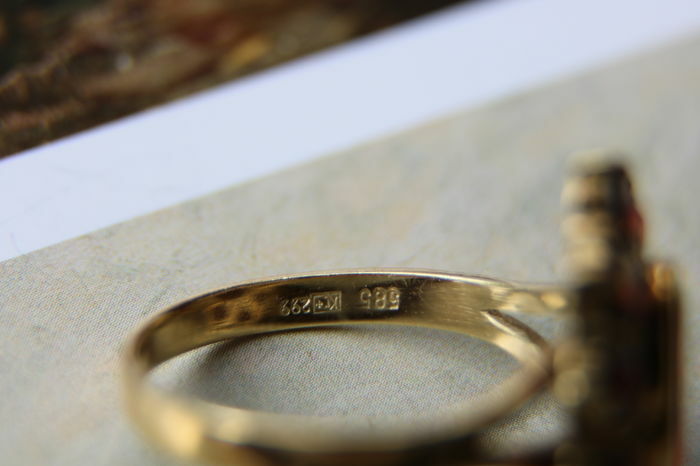 (engraved). 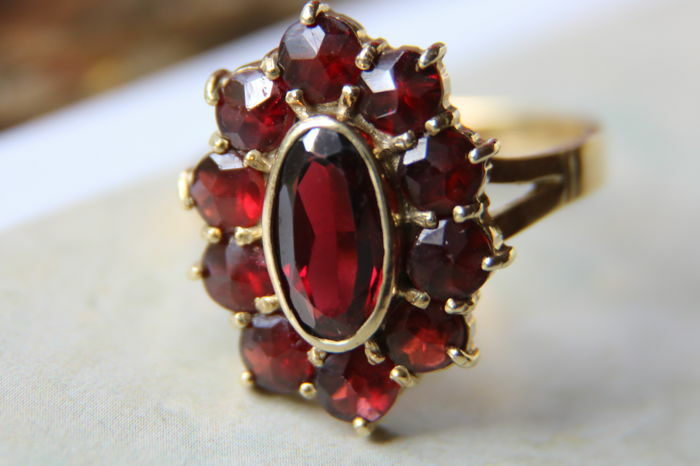 Garnets: total 11 with dark red beautiful color. 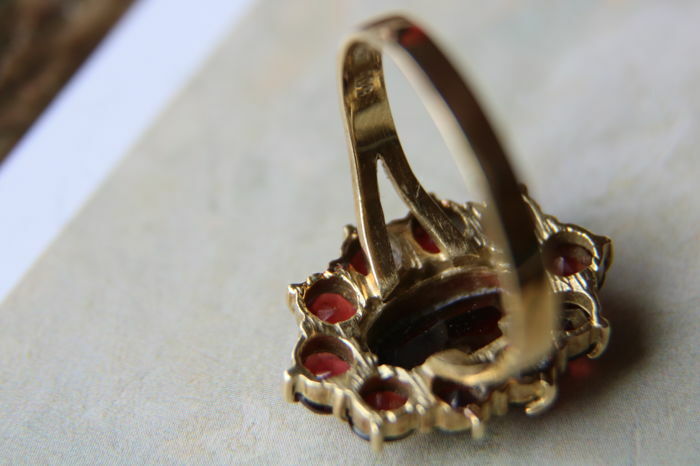 The ring will be shipped as insured and registered package.